Thanks to the reader who sent the photo from this morning’s 80th annual Easter Sunday sunrise service at Forest Lawn (WSB sponsor). The West Seattle Ministerial Association presents the service, with volunteer support by the Kiwanis Club of West Seattle. The reader reports, “Incredible testimony of recovery and now in school by Erin LaBreche. Service was well attended. Looking forward to next year.” In 2020, Easter will be on April 12th. Thriftway just celebrated its 31st birthday and will have other special events as the spring and summer roll on – next Saturday, for example, weather permitting, they’ll try again for the first benefit barbecue of the season – buy an outdoor-grilled lunch starting around 11 am, and the proceeds will be donated to the West Seattle Food Bank. This annual tradition involves a lot of planning and preparation by center volunteers and staffers – then suddenly it’s time to gather by age group, and the biggest final task is to get the excited attendees to wait for “go”! Kids ready for a second round of egg hunting have their choice of several local churches having them tomorrow before or after holiday services – check our list for locations! The Easter … stormtrooper? That was among the sightings at Lincoln Park this morning during one of three egg hunts we covered. This one is presented every year by Eastridge Church and draws hundreds of kids. More egg hunting this afternoon and tomorrow – see our list! And we’re working on more coverage of this morning’s big fun elsewhere, too. We are now less than two weeks away from Easter and the start of Passover, and our annual one-stop-shop list for egg hunts, services, and more, is live – see it here. 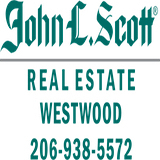 As usual, we will continue updating as long as new listings come in, so if you have something to add, please send us the info ASAP – westseattleblog@gmail.com – thank you! Easter, Passover, etc. events/services? WSB page in progress! We’re now two and a half weeks away from Easter weekend and the start of Passover. As always, we’re working on a one-page guide to local events and services, so if your organization, business, church, synagogue, school, etc. has something public planned, please let us know – and thanks to those who have sent info already – westseattleblog@gmail.com! Every year, we check on St. Patrick’s Day to see if the mysterious green stripe on 41st SW north of Admiral Way has been freshened … and today, there it was, with a few shamrocks/4-leaf clovers along the way, stretching a few blocks north. LIBRARIES: All Seattle and King County library-system locations are closed. CITY PARKS: Here’s what’s closed and what’s open. TRASH/RECYCLING/ETC. PICKUP: Seattle Public Utilities says it’s expecting pickups to be back on regular schedule this week. FREE-PARKING DAY: If you’re going to a neighborhood that has street parking with city pay stations, there’s no charge today. I would just like to thank everyone in and around the West Seattle area for coming to see West Seattle Lights and for donating to our two charities, The West Seattle Food Bank and Northwest Parkinson Foundation. Because of your generosity, we were able to deliver to the West Seattle Food Bank over 300 660 pounds in foodstuffs along with $402 and another $402 to NW Parkinson Foundation!! Thank You! Thank You!! Thank You!!! for a great holiday season!!!! The West Seattle Lights display (which we showcased on Christmas Eve this year) is at a home where friends of Jim’s live. He also now runs a show in Maple Valley. 15 minutes before hundreds ran in and out of Puget Sound for this year’s Alki Beach New Year’s Day Polar Bear Swim, organizer Mark Ufkes hollered that the water was warmer than the air – 46 degrees and 36 degrees respectively. … with a bonfire awaiting some as a reward. P.S. This year brings a second “polar” swim to Alki – as we reported last month, the Special Olympics of Washington Polar Plunge fundraiser is returning to West Seattle waters for the first time since 2011. February 9th is the date and they’re hoping for a sizable enough turnout to set a record. West Seattle New Year’s Day 2019: What you need to know. Plus fireworks photos! NEW YEAR’S DAY FITNESS: Yoga and Nia classes this morning! See our Holiday Guide for info. RESTAURANTS THAT TOLD US THEY WOULD BE OPEN TODAY: Here’s our list – with the annual caveat that some establishments may have changed their plan since we called, so if you discover a discrepancy, please let us know – thank you! TRANSIT/TRANSPORTATION INFO: Sunday schedule for Metro today … No Water Taxi service … Sound Transit Express buses are on Sunday schedules … Washington State Ferries‘ Fauntleroy-Vashon-Southworth run is on its regular weekday schedule … No charge for street parking in neighborhoods where the city has pay stations. TRASH/RECYCLING: No pickup today, and everyone’s schedule slides a day again this week, same as last week. SEATTLE PARKS FACILITIES: Here’s the list from Parks – what’s closed, what’s open. LIBRARIES: All Seattle Public Library and King County Library System facilities are closed today. HOLIDAY LIGHTS AND OTHER INFO FOR TODAY/TONIGHT … see the WSB West Seattle Holiday Guide. West Seattle Junction venues with New Year’s Eve specials have gold balloons outside to entice you in – see the list here, and have a great (safe) celebration! Thanks again to everyone who shared photos, tips, reader reports, and more this year … 206-293-6302 or westseattleblog@gmail.com any time! LIBRARIES: Seattle Public Library locations are open today, regular hours – closed tomorrow. King County Library System branches are closing today at 5 pm. OTHER RESTAURANTS: Our holiday list now contains the West Seattle restaurants that told us they would be open New Year’s Eve and/or New Year’s Day. See it here, and please remember that it was compiled in advance, so there’s always a chance an establishment has changed its plans – 206-293-6302, text or voice, if you have an update to share; thank you! The New Year’s Eve 5 kilometer route winds through the holiday lights in the Admiral neighborhood and Junction. The 10 kilometer route also enjoys neighborhood holiday lights, heads down to Alki and features the lights on and around Puget Sound, Elliott Bay and downtown Seattle. Flashlights helpful. This event is hosted by the Emerald City Wanderers and St John the Baptist Episcopal Church, and is sanctioned by the American Volkssport Association. Information about volkssports will be available. We are having our 6th annual Family Party at South Park Hall from 7-9 pm. $10/person over 2 years old. Each kid gets access to the hot cocoa bar and a gift bag. We will have a countdown on the big screen with the East Coast, and music. REMINDER – FREE NEW YEAR’S EVE RIDES ON METRO: 7 pm-4 am. Details here. NEW SPACE NEEDLE LIGHT SHOW 2 HOURS BEFORE THE FIREWORKS: If you’re planning on spending part of your New Year’s Eve looking at the Space Needle – as noted here over the weekend, there’s a new 10 pm laser light show this year in addition to the midnight fireworks. PREVIEW 2019 … via our complete calendar! We tweeted that after being somewhat startled to see the Space Needle come into view from Alki earlier tonight with those huge pink lights burning bright. Well … huge magenta lights. We figured it had something to do with T-Mobile‘s sponsorship of the upcoming New Year’s Eve fireworks, but that’s still two days away. Subsequent discussion on Twitter, and research, led to this announcement – with news that NYE will include a 10 pm light show from the Needle as well as the 10-minute fireworks display: “Cutting-edge lighting equipment installed throughout the structure will emit brilliant colors and beams of light across the tower and the Seattle night sky …” The Needle will be illuminated in magenta tomorrow night as well as Monday night pre-show, the announcement says. Will it be those big lights we saw tonight or a subtler glow? Guess we’ll see soon enough. The New Year’s Eve/Day section of the WSB West Seattle Holiday Guide continues to grow – from New Year’s Eve dining (including the special dinner at Itto’s Tapas [WSB sponsor]) through New Year’s morning fitness – plus we’ve just added another tree-cycling option for the first weekend of New Year’s. Browse it all here – and if you have an event, New Year’s holiday hours, etc., to add, please let us know! WALKING: As announced by Emerald City Wanderers again this year, a 5K walk through Admiral and Alaska Junctions, starting from St. John the Baptist Episcopal Church (3050 California SW) any time you choose, between 4 and 7 pm. Full details in our guide, and info on their New Year’s Day walks too!. Of course our Christmas Day lights spotlight would be West Seattle’s brightest display. Thanks to Robert Spears for sharing these photos of the Menashe Family Lights from earlier this season. You’ll find them at 5605 Beach Drive SW as the holiday season continues. You can see all the lights we’ve showcased this year by scrolling through this WSB archive (and prior years if you keep scrolling! ).